Lunchtime Sessions #1- THANK YOU! here's a couple of things we'd like to do to welcome you to our community! Now that you've got an idea of what we're all about, why not join the Clubhouse? Or have you thought about taking our Home School Course? We don't want you to miss out on any of the Happy Startup goodness. If you enjoyed today: join the Clubhouse! 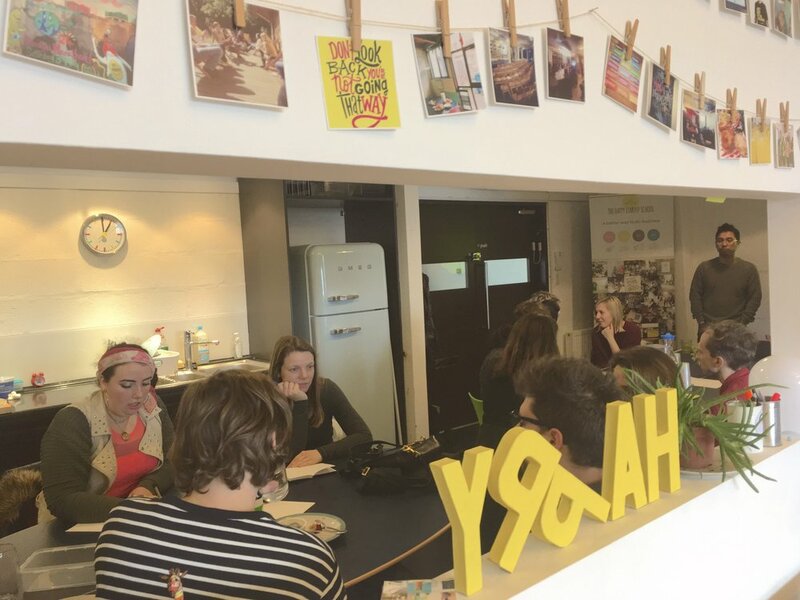 It's our vibrant and friendly hub for Brighton’s startups, changemakers and social entrepreneurs. Whether you’ve got the seed of an idea or you’re a seasoned entrepreneur we’ve created a space where you can connect with and learn from other like-minded people. With your support we can create an inclusive and diverse startup hub that will have a lasting positive impact on you and the city you live in. You might remember me mentioning Home School, a groundbreaking course for anyone who won’t settle for just making a living, who believes that startups can be a force for positive change and not just about the big exit. We've had nearly 1000 students go through the program over the past two years working on a wide variety of businesses and projects. You'll leave the course with a framework to develop new ideas and share them with world. It's your first step to building your following and creating a tribe who want to help and support you. The program itself is run over 4 weeks, but since it's online you can do it from the comfort of your own home and at the pace that works for you. You'll also have lifetime access to all the course materials and both myself and my cofounder Laurence will be on hand to provide guidance and advice. The next course starts on Monday 6th February, and there's only 3 spots left! Your discount code, should you choose to accept it, is 'happylunch'!